A look at the big winners of the night. Hollywood's glamorous stars were in attendance at the 21st Screen Actors Guild awards, held at the Shrine Auditorium in Los Angeles on January 25. After winning the Golden Globes earlier this month, Still Alice actress Julianne Moore -- looking lovely in an emerald beaded gown, won the Best Actress SAG award. 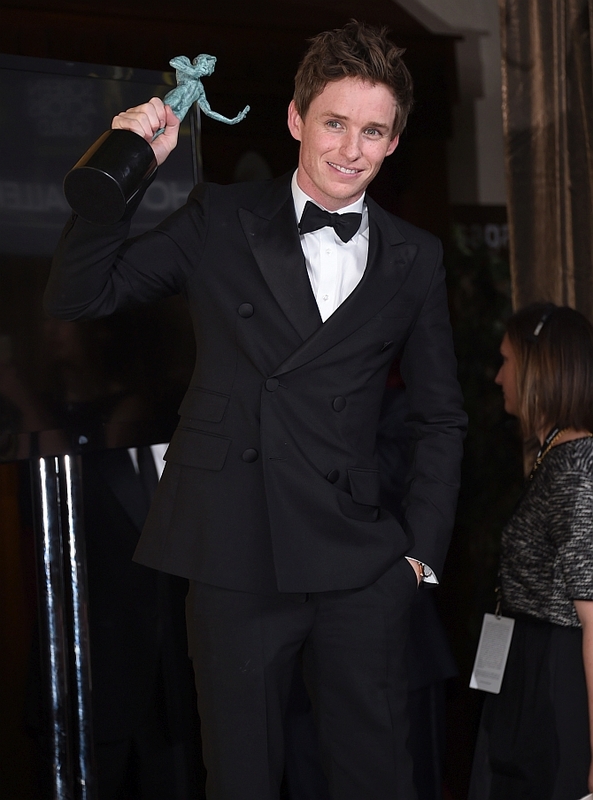 The Theory Of Everything actor Eddie Redmayne won the Best Actor trophy for his powerful performance as Stephen Hawking in the film. Nimrat Kaur, who was nominated with the cast of the American television series Homeland in the outstanding performance by an ensemble in the drama series category, looked ultra-glam in an off shoulder gown. 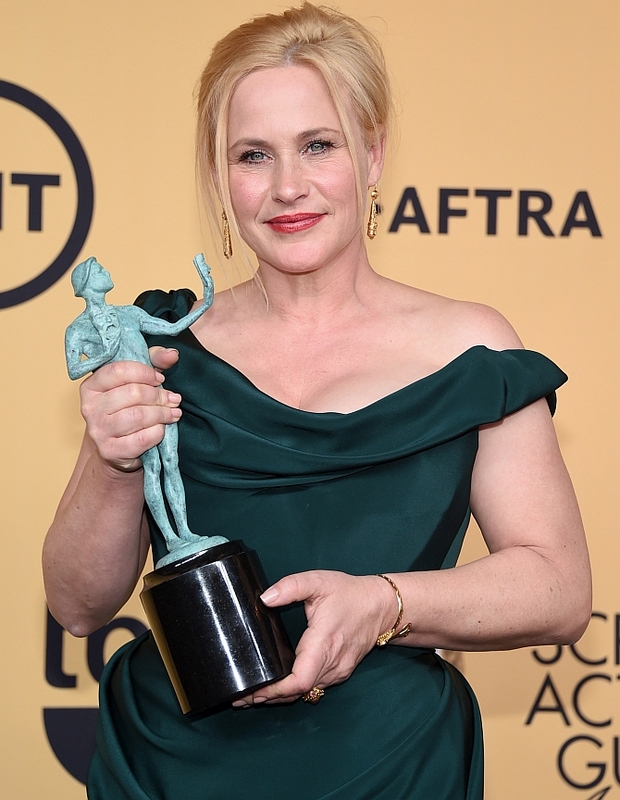 Patricia Arquette won the Best Actress in a Supporting Role award for her role in Boyhood. 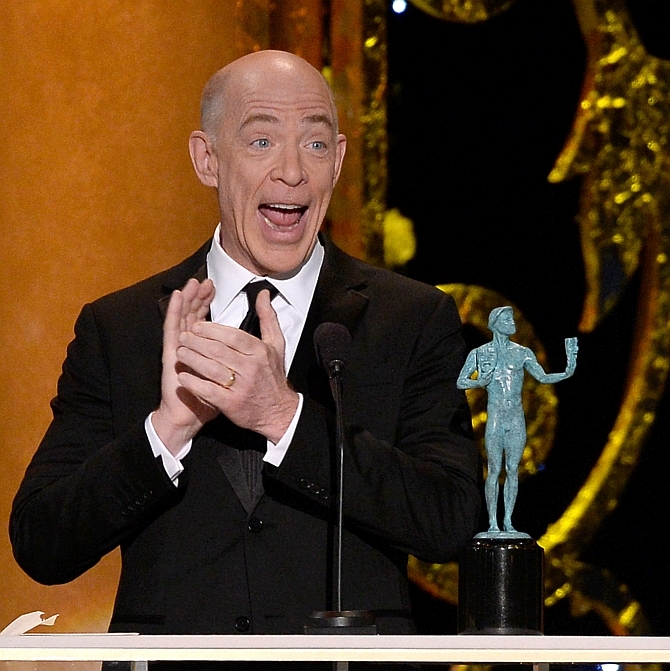 Actor J K Simmons seems ecstatic as he accepts the award for Outstanding Performance by a Male Actor in a Supporting Role for Whiplash. Edward Norton, whose film won Birdman won the Outstanding Performance by a Cast in a Motion Picture, arrived with his producer wife Shauna Robertson. 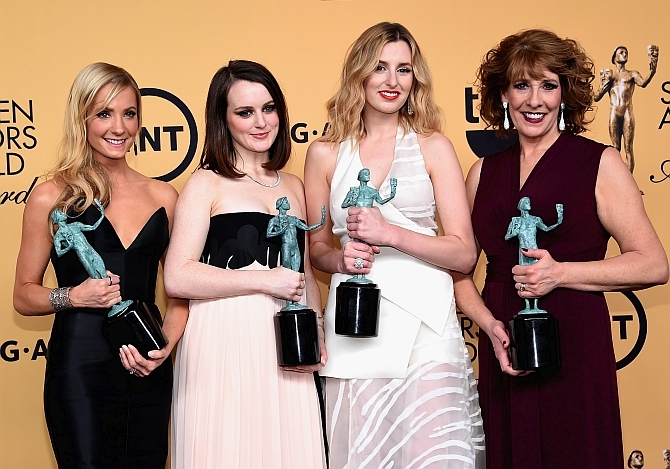 Actresses Joanne Froggatt, Sophie McShera, Laura Carmichael and Phyllis Logan were adjudged the winners of Outstanding Performance by an Ensemble in a Drama Series for Downton Abbey. Gone Girl actress Rosemund Pike may have lost out on the Best Actress Award but she was a vision on the red carpet in her Dior dress. The Imitation Game actress Keira Knightley, who is expecting her first child with husband James Righton, wore a lace gown. Julia Roberts, nominated for her Outstanding Performance by a Female Actor in Television for Normal Heart, dropped the gown idea and instead opted for a Givenchy jumpsuit.